We went for a quick walk around Vienna this morning before leaving the city. Vienna is never a city I would want to drive in regularly, but it actually wasn’t too bad this time due to the location of the parking garage and hotel we stayed in. The worst part of the drive was probably trying to get the car out of the garage since European garages are very narrow and steep. We dropped the car off at the Munich airport and then took a taxi to the city center. We arrived to the city in enough time to have a good walk around the city. I’m glad I decided to just use my phone as my camera as the streets were busy and bikes are everywhere. I think they might have more bikes here than in Amsterdam. It was pretty stressful crossing streets even though they are pedestrian streets because of all the bikes. It was a perfect day for weather, but I know Iceland will be at least 30 degrees colder tomorrow. Not sure I’m ready for that! 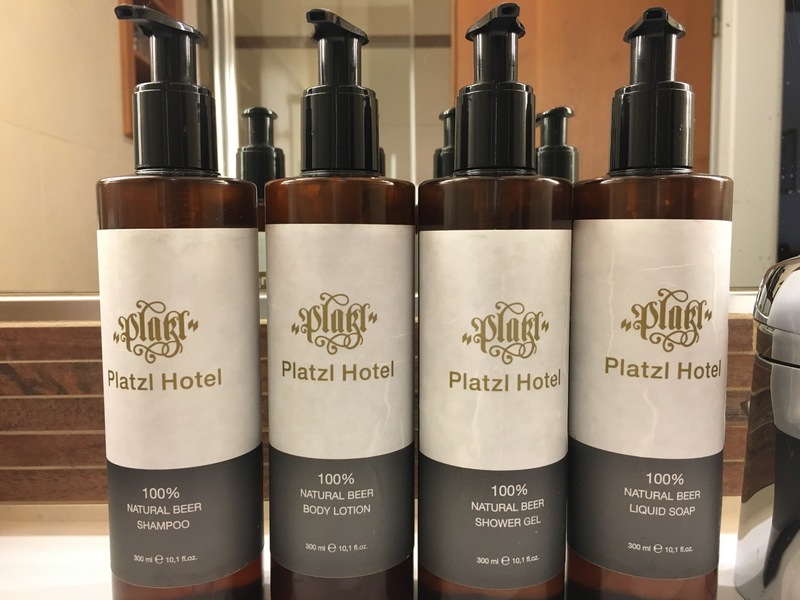 You know you are in Munich, when the hotel provides only beer products in each room. Also the rooms have booths in the room to sit and drink beer. This is the first hotel I have ever had a booth in the room. Vienna will always be a special place to me and I’m always amazed at how many new places I can explore but still make sure I visit some of my favorites spots. Staying in the center of the city and really knowing how to use the transportation makes the city so easy to explore. We had very warm weather followed by a day of rain and clouds and then back to warm weather. I have never spent a lot of time on the Danube Island, but it really is a great place to walk around. I may have found some pull-up bars there to do a little workout as well. We are leaving Vienna tomorrow morning and driving back to Munich. Should be about a 4 and half hour drive. On Thursday we will leave Germany and fly back to Iceland where we will have almost 5 days. So far, I have only been using my camera phone to take pictures, and it has been really nice not walking around with a giant camera. Vienna has been very warm our first two days here. Summer in Vienna means they have a lot of things going on. Yesterday, we walked to a surfing wave put up near the center of the city where people can learn to surf. We spent the majority of this morning walking around a park where there are plenty of locals running, biking and playing soccer. It has been so hot here that in the center of the city, there are long lines of tourists waiting to fill their water bottles. I’m happy to have another 3 full days in this city as I’m always happy walking around exploring new streets. 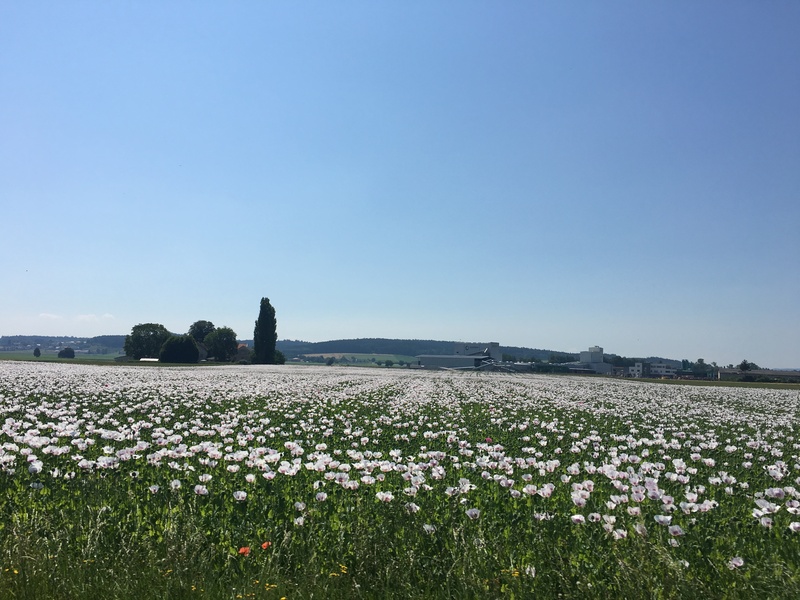 The drive to Vienna is pretty flat and mostly freeway driving, however, we did pass this lovely poppy field that Bridget was able to get a picture of before we went by. After arriving in Munich, we rented a car and drove to Ach, Austria which is right across the river from Burghausen, Germany. This was about an hour and twenty minute drive which is about the max drive I can probably do after staying awake on the plane for hours. It probably took us ten minutes to figure out how to get out of the Munich airport and then it was mainly country roads with a lot of tractors for the next hour. We stayed in Ach, Austria before so we knew we didn’t need a lot of time there but it is a charming town to stay in with a great view. You can walk across the bridge from Austria to Germany and there are great walking paths on both sides of the river. This is a great town to start the trip in. The only downside was the hotel didn’t have air conditioning and the room faced the west. The hotel has shades that they control to try to keep the rooms cool. They apparently raise the shades at some point during the night because when I woke up in the morning, I could see everything. With not a lot of time to plan a trip this year, we needed to keep it pretty simple. There is a new flight from Portland to Reykjavik, Iceland so it seemed kind of perfect to explore a new country with the benefit of having a direct flight. The first part of the trip will be in sunny Austria before heading back to cold Iceland. The flight to Reykjavik was pretty easy and the flight crew were very excited that their soccer team just advanced in a major tournament for the first time on that day. We landed in Iceland around 6:30 AM and it was 45 outside. It always seems very common in Europe to have planes not pull-up to a gate which forces the people get off outside and take a bus to a terminal. This was the case in Reykjavik so I could feel how cold it was. We then flew to Munich where it was over 90 degrees. Based on the scenery I saw from the plane window, I’m pretty excited to get back to Iceland and explore the countryside. I’m just hoping the clouds aren’t so low when we get back there.